Picking the right CPU for your needs is increasingly difficult with such fierce competition between Intel and AMD going on every single year, which ultimately leads to Intel further increasing the performance of their new generations of CPUs. We all want to get in on the fun, however, choosing the right CPU is never easy, generally, you want to look for performance vs cost efficiency, hence why we’re doing this comparison to show you which we recommend you to get. Before proceeding, we recommend you to get a good motherboard for both your I7 8700k as well as your I7 9700K. 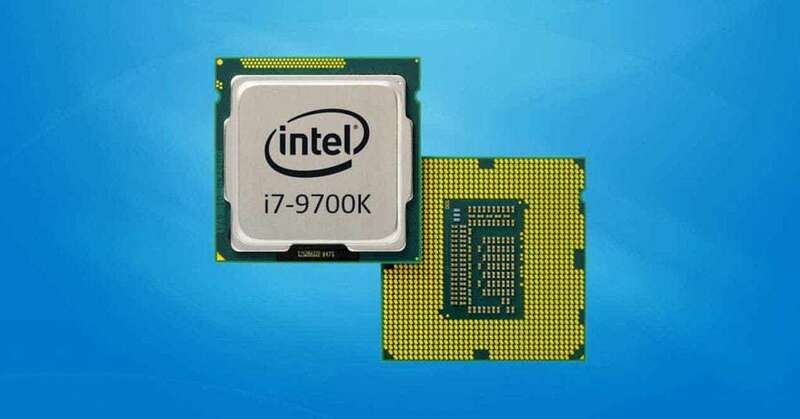 The I7 9700K is the 9th Generation of Intel CPUs, it has been quite one of the most anticipated releases in the past decade after showcasing promising benchmark results. 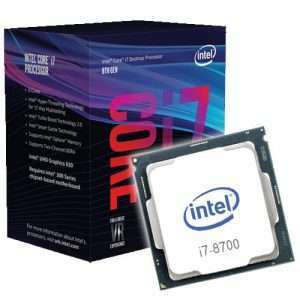 It’s without a doubt, a superior version of the I7 8700K (That much is obvious right?) and if you simply don’t care much about the price tag and you’re only looking for system longevity & overall maximum performance then this or the I9 9900K are your goto choices. However, if you’re careful about the money you spend, then this comparison will show you if the extra money you’re spending on it is worth it or not compared to previous generations. The I7 8700K was a revolutionary release, it was the first time Intel increased the cores of their CPUs in almost a whole decade, this led to an exponential performance increase over the 7th generation, along with a massive hype in the community which was quite justified. This processor has been out on the market for quite a while and its benchmarks and reviews have been nothing short of amazing. However, the question is, can it still hold out in a competition against the newest generation & win the cost efficiency comparison? Both Processors are using the LGA 1151. The base clock is an important feature to know about every single CPU in existence because it’s tightly related to single core performance which is extremely important. Higher base clocks not only makes each core perform significantly better but also provides many benefits especially in gaming where games aren’t fully optimized to utilized several cores properly. The Turbo is yet another important feature. Turbo is how high your clock speed goes when the CPU is under stress, usually when rendering something or when gaming, this is the limit set by Intel, however, it can be overcome when Overclocking. Cores helps your CPU split the workload in between each core, instead of having your CPU do all its functions in a single core, it splits between each core thus improving not only the speed at which each function is performed but also reducing throttle & allows for your CPU to handle higher workloads. Both processors have unlocked multiplier, which means that you can overclock them if your motherboards allows you to do so. Both processors got 13Mb of L3 Cache. Both processors got UHD Graphics 630. The 9700k initial leaks said that it would be using the 10nm++ Litography instead of the 14nm++ that the previous generations used, it would be a direct upgrade, especially for Intel it would mean that they were ready to take the next step into Moore’s Law. Unfortunately, Intel didn’t grant our wish and the leak seemed to be fake which is a shame and both still use the 14nm litography. After comparing the essential key points of each CPU, we can see an obvious difference between them, and we can safely assume that the I7 9700K is definitely superior. The I7 9700K not only is it the new 9th generation of CPUs but also is a direct improvement regarding turbo clock speed & most importantly the cores. It has 4 fewer threads and no hyperthreading but the extra 2 cores more than make up for it as Cores are far more important than either of them & if you’re interested in gaming, hyperthreading was never a very significant feature, to begin with. From our benchmark tests, we’ve noticed an increase in performance of ~12% to 14% which is quite significant and has been the average performance improvement for the past few years in each generation. Who should pick the I7 9700K over the I7 8700K? Honestly, if you don’t have the I7 8700K, then the I7 9700K should definitely be your pick if you’re looking to upgrade your computer. The ~12 to 14% increase in performance is quite significant and being the latest generation also means that you’ll have more longevity with your new CPU over the I7 8700K. Taking into consideration the fact that high-end computers seem to last roughly 4 to 5 years until they become “mediocre”, you’ll definitely want to get the I7 9700K even if you pay an extra 100$ or so, after all, an extra year or two in terms of longevity for 100$ is absolutely worth it. Who should pick the I7 8700K? Honestly, there’s no reason to pick this one, if you already own and you’re checking to see if it’s worth upgrading to the 9th gen, then the answer is also “NO”. Unless you fancy spending 500$ for a 12% to 14% performance increase. What about AMD vs Intel? A few years ago AMD vs. Intel was comparable to a Chinese smartphone brand vs. genuine high-quality brand like Samsung, obvious choice regarding quality right? However, that’s no longer the comparison, in the past few years, AMD has been rising in popularity & reputation. AMD used to be known for releasing high core & high threads CPU with a terrible performance for a modest price, while Intel kept their game consistent for several years on low core & thread count CPUs with fantastic performance. The issue with this is that AMD has started to catch up with Intel’s performance quality and with the extra Cores and Threads it’s making Intel sweat for the first time in years, which led to release of the I7 8700K with an increased number of cores and threads along with single core performance boost. It’s no longer fair to compare AMD to a Chinese smartphone brand, instead, it’s almost catching up with Intel’s quality and possibly even taking the lead as the new overlord of high-quality CPUs in the future, however, that’s still an optimistic and distant future, as of now, Intel still is the best brand for CPUs and there’s no doubt about that. What exactly would be incorrect in the post? This is one of the most incorrect, uninformed and badly written articles I have ever read. Hi Jimmy, please let us know what’s wrong and we will do our best to fix it!